It was a nice change of pace to see the Rutgers Scarlet Knights Football team be on the right side of a blowout victory. After beating Morgan State convincingly 65-0 in Piscataway last Saturday, the Scarlet Knights put a halt to their 11 game losing streak. In recent seasons when you heard a score like that, it's widely been known that Rutgers was once again beaten badly. Rutgers and their fans need to enjoy this one, and deservedly so. With the Big Ten conference play set to begin this weekend, they really needed a win and boost to their whittling confidence. Rutgers took care of what they had control of last weekend. Much of the credit for their offensive explosion can be attributed to their offensive line. That O-line opened up a run game for 326 yards and 7 touchdowns. Quarterback Johnathan Lewis had a big day rushing for 4 touchdowns and threw for another. For that, the St. Peter's Prep alum earned a Big Ten Freshman of the Week award. He is sharing the honors with J.K Dobbins of Ohio State. The first time such an honor has been bestowed for the Rutgers football program since joining the Big Ten in 2014. Up ahead for Rutgers is Nebraska. The Cornhuskers are coming off 2 non-conference losses, and look to tee-up on a Rutgers squad. Rutgers has dropped 14 straight conference games, dating back to 2015. 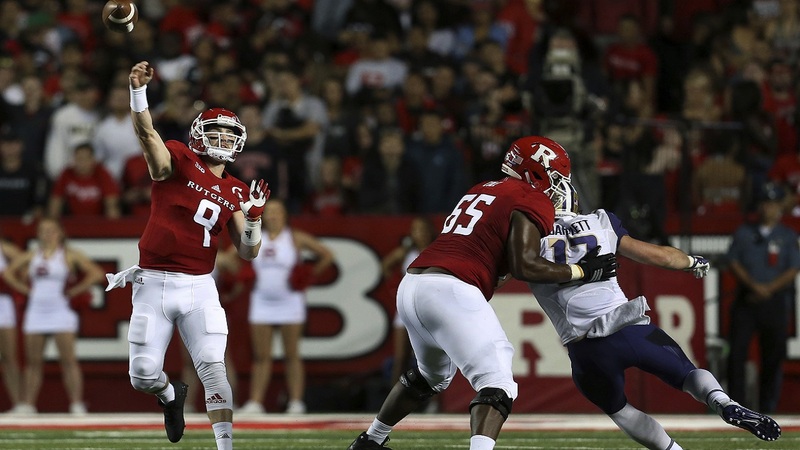 Bottom line, Rutgers is due for an upset and this weekend could be it. The Scarlet Knights are a 13 1/2 point underdog, this after Nebraska comes off a disappointing loss at home last weekend to Northern Illinois. Beyond this game, Rutgers faces daunting challenges against other Big Ten powerhouses. They say small steps lead to big changes. This would be a great opportunity for Rutgers to make one of those steps in the rebuild of their program.